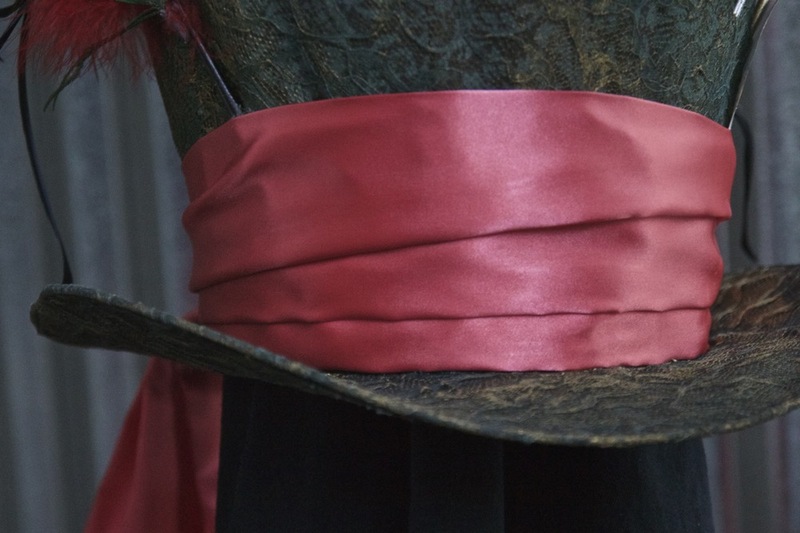 I created this hat from scratch to go with my daughter's Mad Hatter costume. 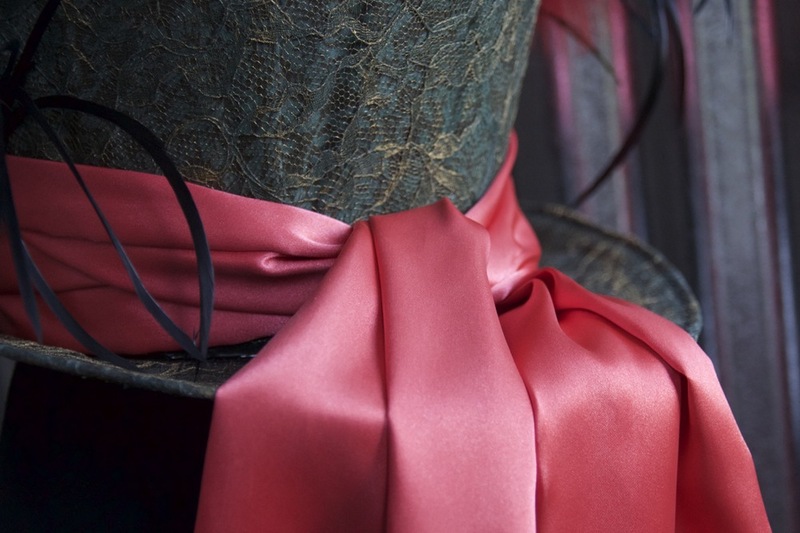 The hat is made from two types of fabric, wire and foam-core. I painted it to achieve the two-tone green and gold. I created the hairpins from wooden dowels and baubles you can find at craft stores. I also custom made the sash from scratch.